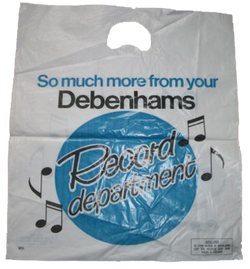 In 1971 Debenhams rather cleverly converted part of the large delivery area in Minster Street into a record shop. I can't remember what is was called but it was suitably named so as to entice buyers of a progressive rock persuasion to visit them! Closed in 1974. (May 20, 2014) Pete Downs said:It was called Just In.